Few years back I got a challenging task to revitalize the Reference Program for Services. In few words Sales were complaining that few deals were lost because we did not had good references. Have you ever heard that? I’ve been in Business and Marketing for more than 20 years and this has been a common excuse or at least a recurrent complain. I accepted the job and decided to capture all the valuable remarks from sales. I did a survey to 170 sales rep out of 1500 in all the countries of EMEA and asked what they thought about the Reference Program. It was not a survey on paper or email. I really took the time to have an open conversation to understand their perspective. It took me about a month to interview them. I wanted to ask some structured questions, but also to provide an opportunity to express themselves to capture ideas or suggestions from their point of view. Sometimes this is what is missing in a corporation: the balance between a top down approach and the capability of capturing the base inputs. It’s the management by walking around concept. As expected people had opinions and were happy to have the opportunity to contribute to the topic and provide feedbacks. the Reference Database was difficult to use. Time consuming. It was retrieving information out of date. 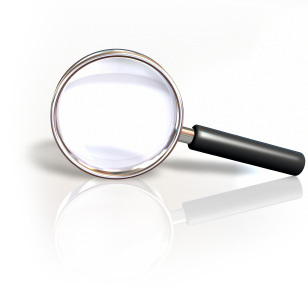 Change in the name of the solutions due to reorganization / new value proposition, was not reflected in the data base, with a consequent risk of spending time in the search with no meaningful results. I did ask how they were managing their reference needs, if the program was not working in their eyes and the answer was expected, they used their social capital within the company, they used their network. 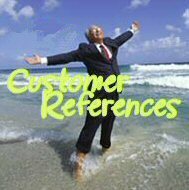 The drawback was that the few known reference customers were overused. I also asked what will it be a good improvement for the reference program? The answer was also not surprising: “ get the reference retrieval quick and effective!!! 3 mouse click should be the maximum effort I’m doing. Use the same jargon I’ve been trained to… and maintain a pool of well identified customer references. It took me about 6 months and a lot of sponsorship from my executives to make the required changes. The result was outstanding… we moved from 4-5 reference escalation per week to 0 escalation in the following 6 months. We established a measurement for each account teams that was capturing reference data per semester: this metric did impact the variable pay of the account managers positively or negatively depending if they had reference activities in the past 6 months. This was actually the panache, as previously the accounts were measured on the fact that they were yes or no referenceable. We did move to actually prize reference activities only. Claiming to be referenceable and not acting as a reference did not help with their salary. Interestingly enough the investment negotiated with HR, the Business and the Sales management for this incentive turn out to be peanuts, compared to the benefit. Let me expand this point: compare to the high salaries of the Account Managers the small percentage of the variable pay associated with a good reference was not relevant. It was then very relevant the implication of been referenceable or not, in their reputation as good account managers and in their performance evaluation. Most of the Account Managers did not want to look failing in one of the measured items. Final point to fix was to get the clients happy enough to jump on board as an advocate of their experience with us. This became possible with an assumption… “Being the CIO of a company is challenging and full of responsibility” What can I do to help in some of those challenges? It was clear that they wanted something that recognize their dedication, expertise and value, something that was making them special and that was giving them back a tangible tool to help them increase their status, their value. We did come up with the a idea of a Reference Council, a group of clients that had access to our executives and few occasion during the year to get together and brainstorm on the coming challenges on our company future vision, roadmap and understanding of the next 3 years challenges. All of them, they loved the idea to be part of a reference pool to open up discussions with our leaders to mutually leverage knowledge and understanding. The new shaped reference program for services was born!!! I would love to hear your experience or opinion!!! Although it seems very basic, good for you for interviewing the Sales team to find out what was going on and what they wanted. It’s easy but wrong to create a program and then force to Sales to use it without their input. It sounds like you pay Sales folks for references. Is that correct? I too have found that when working with VPs and C-level execs you have to be very cautious of their time and respect the fact that you are not the only vendor trying to get something out of them. I’ve managed a few Customer Advisory Boards and this is what I offer high level execs who want some good touch points to our executives as well as our roadmap. when we talk about sales force we must do a distinction between the hunters (who needs references to close deals with new prospects) and the farmers (who actually provide referenceability with their Clients). It is not black and white, and sometime also a historical client ask for having a reference call with some other clients, but generally speaking the reference needs are in the proportion of 80% for the hunter and 20% for the farmer. Said that, the answer to your question is: Yes, we did measure the reference activities of each Client and connect it to the variable pay of the Client Managers (farmer). So it was not a pay for reference activities, it was more changing their behavior and making reference activities a basic job requirement. As a consequence of it, they were get a small bonus for enhancing reference participation at all Client organizational level. But probably, even more important, as it was a basic requirement it allowed to start to include referenceability as a basic KPI for their performance evaluation. This was definitely the inflection point!!!! I came across your blog and great to read this post. It was nice to have worked with you on building the Reference Request Tool web page and great to know the impact and the progress.